The Grade II registered Cynfartha Park is one of the most frequently visited free tourist attractions in Wales. It overlooks the town of Merthyr Tydfil and the historic site of the Cynfartha Ironworks. The castle is recognised as being the best example of a 19th century Ironmasters residence to have survived in South Wales. 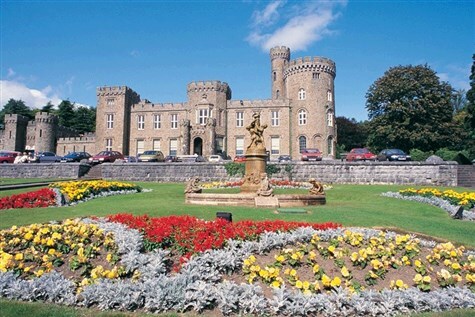 The castle is now a popular museum and art gallery housing historic artefacts linked to Merthyr Tydfils past  ranging from a distinctive art collection to the worlds first steam whistle. The Brecon Mountain Railway runs from Pant, into the Brecon Beacons National Park, through Pontsticill and along the full length of the Taf Fechan Reservoir before climbing to Torpantau high in the Brecon Beacons and return.